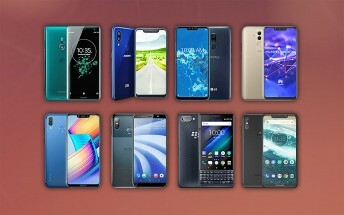 In years past the phones that were unveiled at IFA went on to define the second half of the year. Will this year be the same? Maybe, but the roster seemed thinner than usual this time and some big names were missing. 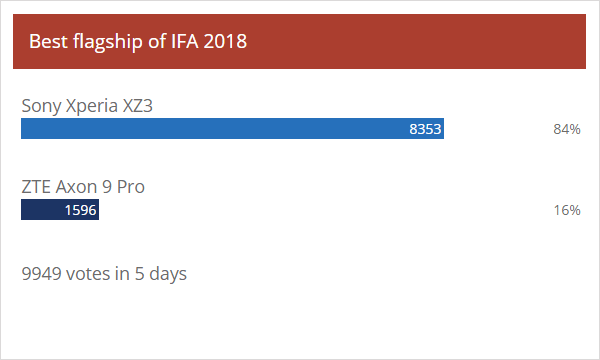 The competition was especially sparse in the flagship segment, but that shouldn’t take away from the decisive victory of the Sony Xperia XZ3, which trounced the Axon 9 Pro. 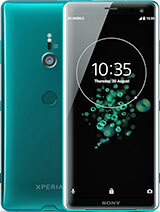 The XZ3 is the first big redesign from Sony in years and the awesome 6” QHD P-OLED was added to the list of beloved Xperia features. That said, we should probably start making “Bring back the 3.5mm jack” t-shirts. As for its opponent, it seems that ZTE forgot what made the Axon 7 popular. The mid-range field was busier. Some protested against the LG G7 One being here, the company’s first Android One phone gathered some vocal supporters. But it wasn’t enough, it came second. 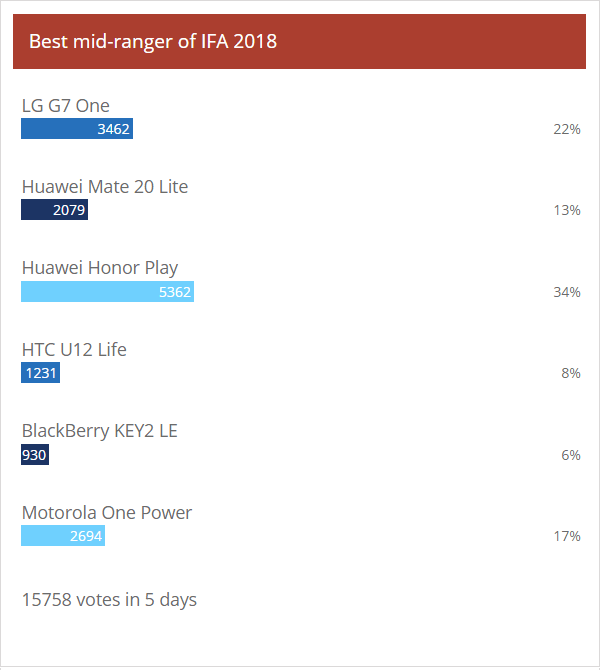 The Honor Play won by a fairly wide margin. 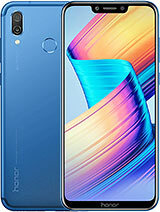 It’s a gaming phone, but doesn’t go all in – gaming aside, it’s one of several Honor models with the Kirin 970 chipset and a great battery. This one seems to have hit the right features/price ratio.